Printmaking prints are original fine art artworks, even though they may form ‘editions’ or be produced in ‘multiple’. Understanding the different ways to edition prints will help you understand and better appreciate the nature of this artform. While some prints were pencil signed as early as the late eighteenth century, the practice of signing work in pencil or ink did not become common practice until the late 1880s, probably coinciding with the practice of numbering editions. Signing a print as initially done for the benefit of collectors; artists and publishers, when presented with a choice, preferred to buy pencil-signed impressions rather than an unsigned print. Today it is expected that original prints be signed by the artist. An unsigned impression of the same print is generally not as commercially valuable. Numbering printed editions didn’t start until the late nineteenth century. However, it wasn’t a standard practice until the mid 1960s. 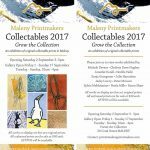 Today, all limited edition prints should be numbered, with the first number being the impression number and the second number representing the whole edition. For example 3/10, where 3 is the 3rd impressions from and edition of 10 prints. The numbering sequence does not necessarily reflect the order of printing; prints are not numbered as they come off the press but some time later, after the ink has dried. The edition number does not include proofs, but only the total in the numbered edition. 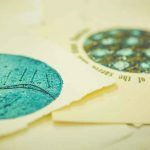 If you are not sure how to edition printmaking prints, you are not alone. As you read on you will see many different edition types. Some of these I hadn’t heard of until I started to write this article. With an EV print, the impression may be printed then hand coloured, or printed onto different papers, or combined with a Chine collé collaged through the press. Essentially, each print within the ‘edition’ is different to the other. When annotating an Edition Variable print, the artist will use “EV 1/X” where X is the total number of impressions in the edition. If you want to print an image, but it is not to be a Limited Edition, but rather an impression from a plate that you intend to print multiple times, you can annotate it as an Open Edition. Annotating an Open Edition print, I would use “O1”, where the number is the number printed to date foe the open edition, but with no need for the total edition number . ie “/X”. And combine that with an Open Edition and you get OEV “OEV 1”. Historically, when an artist was commissioned to execute a print, they were given with accommodation and living expenses, a printing studio and workmen, supplies and paper. The artist was given a portion of the edition (to sell) as payment for his work – these were the Artist Proofs. By today’s standards they are named such to denote a certain number of impressions put aside for the artist to do with as they will. When annotating an Artist proof, use “AP 1/X” where X is the total number of Artist Proofs. They can also be numbered Epreuve d’artiste or EA. The number of Artist proofs should generally not exceed 10% of the total number of the edition. A working proof pulled before the edition to see what the print looks like at a stage of development, which differs from the edition. There can be any number of trial proofs, but usually it is a small number and each one differs from the others. When annotating a Trial proof, “TP 1/X” where X is the total number of Trial Proofs. Literally, the “okay-to-print” proof. If the artist is not printing his own edition, the bon a tirer is the final trial proof, the one that the artist has approved, telling the printer that this is the way he wants the edition to look. There is only one of these proofs for an edition and can be accompanied by printing notes (paper, ink or inking process) to be used as a reference for the printing of the whole edition. A complimentary copy of the print given to the publisher. There can be one or several of these proofs, depending on how many printers were involved in the production of the print. When annotating a Printers proof, use “PP 1/X” where X is the total number of Printers Proofs. Prints annotated HC (Hors de Commerce) are “not for sale”. These “proofs” started to appear as extensions of editions being printed in the late 1960s. They may differ from the edition by being printed on a different paper or with a variant inking; they may also not differ at all. Publishers may sometimes use such impressions as exhibition copies, thereby preserving the numbered impressions from rough usage. When annotating an Hors de Commerce proof, use “HC 1/X” where X is the total number of Hors de Commerce Proofs. 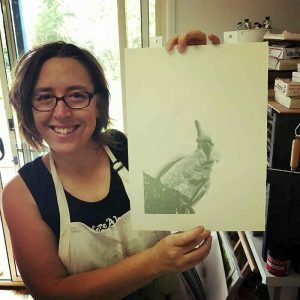 I hope this has helped you with understanding how to edition printmaking prints. If you think I have missed anything, please add it to the comments below. Recap what was previously covered? Go back to read Part 1: What is Printmaking?